Non ad post alert (I have been doing quite a few recently). Short and sweet – where in the world would you most like to visit? I’ve got to pick Florence. Not entirely sure why, but I’d like to see some of Italy, and I’m quite keen for vaguely cultural holidays, and you don’t get much more cultural than Florence. Assuming I am successful in my job hunt in the next few months (and have some time to kill), I’d like to take a trip out there. 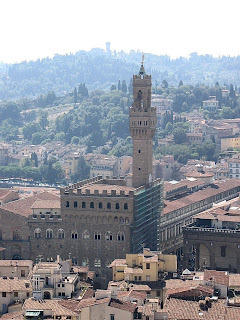 Does anyone have any suggestions about just where in Florence to go to? I’d also like to take a road trip across the States, but I feel that will take a lot of time; so yes, it’d have to be a few months at least. I’ve been to California, but I’d like to see more ‘normal’ America (much as I like beautiful people and beautiful places, I had an odd feeling no-one got my sarcasm), and it’d be good fun. Where would everyone else like to go? ← It was only a matter of time.. I had always dream to go to Europe. All of it. From Scandinavia to Portugal and from the UK to Turkey. There are so much history, so much culture, so many beatiful places…. One city I would really like to see is Prague, I don’t know exactly why but it had always fascinated me. Portugal is very nice Daniel.. the beaches are pretty much unparalleled. Not ventured to Scandinavia or Turkey. I probably should. The UK is good – when it isn’t grey and overcast. Although some may argue that that is its charm. Cheers for that Neil – looks like a lovely hotel.